Sharp cheddar has always been my favorite flavor of cheese, vegan or not. There is something about the tang of the cheddar that keeps me coming back dipping for more. 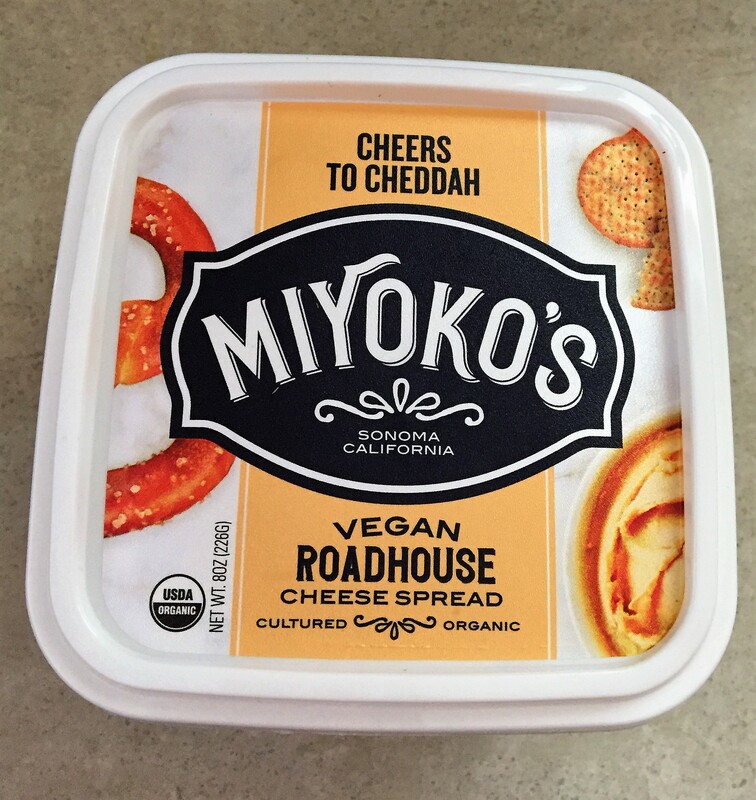 Miyokos line of Roadhouse spreads have been a welcomed addition. 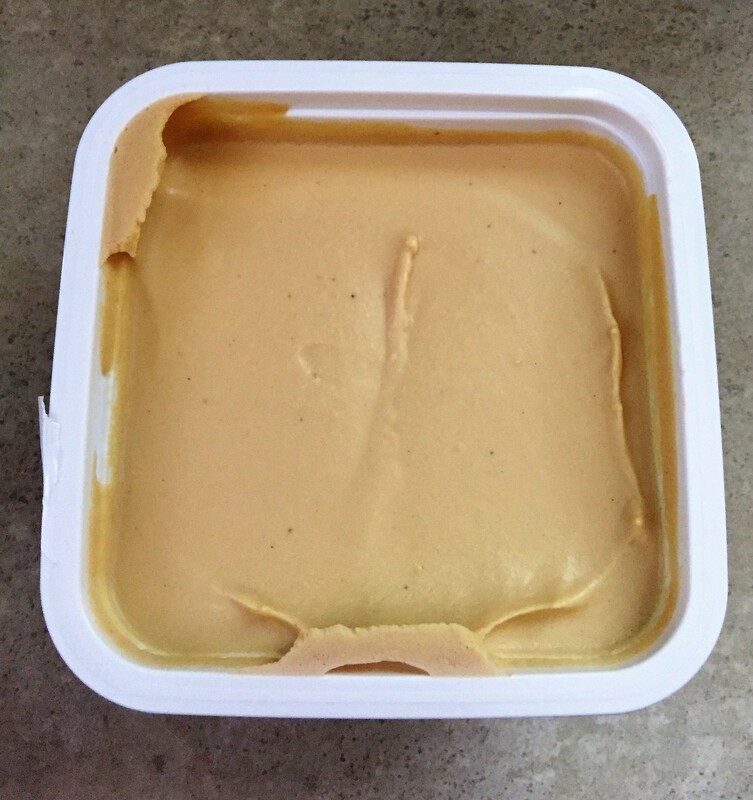 The Cheers to Cheddah is smooth, creamy, spreadable, and delicious. Portion control has been a serious concern with this flavor. Pretzels have been my favorite vessel for this flavor. No surprise that in the absence of pretzels, straight off the spoon has also worked. It has a rich, cheesy, and cheddar flavor. Miyoko’s products are all vegan and that means that they are also cholesterol free. They are also non-GMO, gluten free, and soy free. The product is versatile, it can be used as a spread, dip, or mixed into a sauce. The possibilities stretch as far as your imagination. Miyoko’s products are becoming more widely available in more “health” food stores like Whole Foods, Sprouts, Earth Fare, and the like. The product is cultured and it gives it a cheesy taste that non-cultured products seem to lack. It has a relatively short ingredient list with items that are pronounceable and that I am familiar and comfortable with consuming. It’s likely that you will not be surprised by this con- price. The product is sold in 8 oz portions and I have only seen it for over $6 or $7. This product is cultured and therefore takes more time and resources to make, but it is still too expensive to be a staple in my home. It is 10g a fat for a 1 oz serving. That is a lot of fat for a small amount of food. It does not contain any calcium. I do not take issue with this, but those looking to switch to a vegan lifestyle might be looking for cheese substitutes to contain calcium.